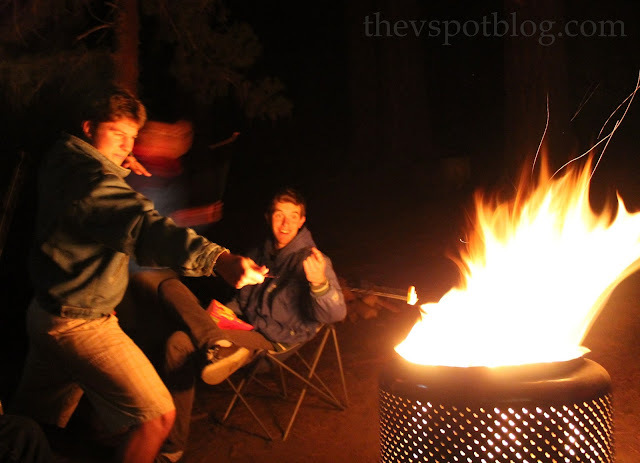 We just got back from our annual camping trip at our favorite place in the world… One of the things we do there? Roast Starburst candies. I know it sounds super strange. I first heard about it from my friend, Xazmin a few years ago. She said they were wonderful and I didn’t believe her, but I gave it a try. You know what? They are delicious! Pop them on the end of your marshmallow roasting stick and lightly roast it in the campfire. The outside gets a little crispy and the inside gets soft and juicy. It can be a challenge to not let it get too hot, because then it falls off of the stick, but the boys love them. There were a few trips where I forgot to pack these and boy, oh boy did I hear the complaints! 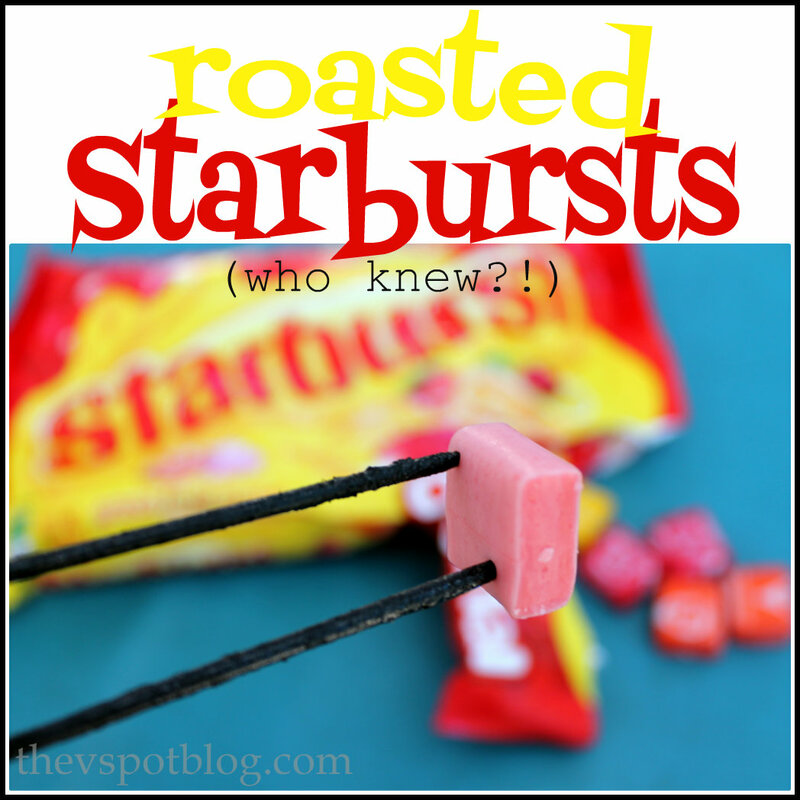 Have you ever tried roasted Starbursts? What did you think? You are blowing my mind lady! I am so trying this. Thanks for the idea! We just tried this last weekend at our family vacation!! So good! Awesome idea! Anything roasted over a fire has to be good!